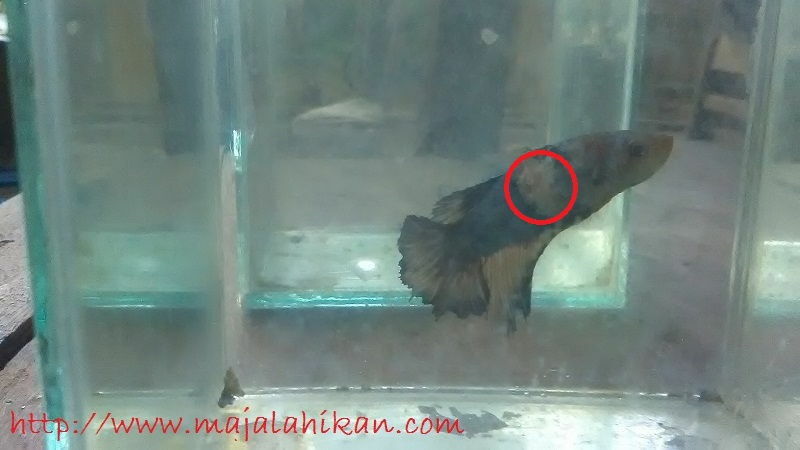 Betta Tumors, javanesebettafishcare.com | It is true that keeping betta fish can be very challenging. It is somehow being popularized by most fish keepers due to its wonderful colors. However, to take care of betta fish is very difficult since the fish doesn’t have the intention to communicate what they need. If you haven’t known before, there are some common betta diseases that you need to know. One of them is betta tumors. This disease is much more dangerous than pineapple scale disease. There are various kinds of diseases that can attack the betta fish and most of them are not able to identify with our untrained eyes. The symptoms among these diseases can be very similar and the fish keepers need to have lots of knowledge to be able to identify the diseases correctly. One thing that the fish keepers need to identify is when the betta fish feels like under the weather. They may develop some dangerous diseases like betta tumors or cancers. Just like other animals and also humans, fish can also develop cancers and tumors. Most betta tumors can be recognized as lumps or bumps under the skin. They can be identified as minor cysts/bumps or cancer lumps. These tumors attack the abdomen, the tail, gills, and also the reproductive organs of betta fish. In general, the signs and location of these tumors can vary depending on the type of tumor itself. However, the true about internal tumor is that it can be very hard to identify. The betta tumors or cancers can show the symptoms once they have become malignant and too late to be cured. Once they have become malignant, the fist’s ability to swim and eat will be impacted and in long term it can also cause the rapid health declines. Some betta fish may get cancers or tumors in their reproductive organs. When it happens, betta fish will display swollen abdomens. 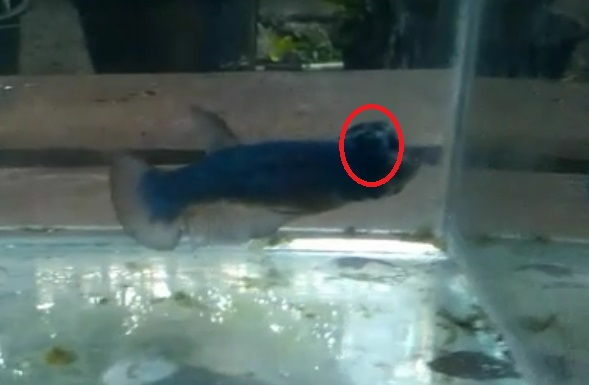 These betta tumors may also lead to terminal illness. Some betta fish may also suffer from skin cancer known as malignant melanoma. Betta fish can also have tumors in their gills. This illness may cause them hard to close their gills. It is due to the thyroid dysfunction. However, betta fish still has the opportunity to live if these tumors can be treated correctly. There are two types of tumors in betta fish, that is, malignant tumors and benign tumors. The benign tumors or cysts are able to be cured in several ways according to the cause of bump or lump. On the other hand, malignant tumors tend to be difficult to cure. These tumors may require some simple surgeries to help the betta fish survives. Basically, betta tumors are caused by viral infections and genetic mutations. These colorful fish are frequently being shipped from Asia, their original countries, under the unsanitary conditions. Besides being exposed to unhealthy condition, your Betta fish may be exposed to harmful diseases like tumors or cancers. However, most diseases can be cured with the timely care and treatment. As mentioned previously, tumors or cancers can be caused by the viral infections. The bulk of beta tumors found in the fish may also due to the genetic traits and these tumors are not dangerous and not causing any problem. If you find that these tumors make your fish unattractive, you can have the surgical removal for it. You may also cure your betta fish if the tumors have caused some problems like eating problem. However, most cancers or tumors in Betta fish don’t have treatment or cure. Internal betta tumors or cancers are also not able to be identified until they reach the advanced stages. When they have become malignant, surgeries may be not very helpful. Once these tumors are detected earlier, the location and position of the tumors may be difficult to remove. 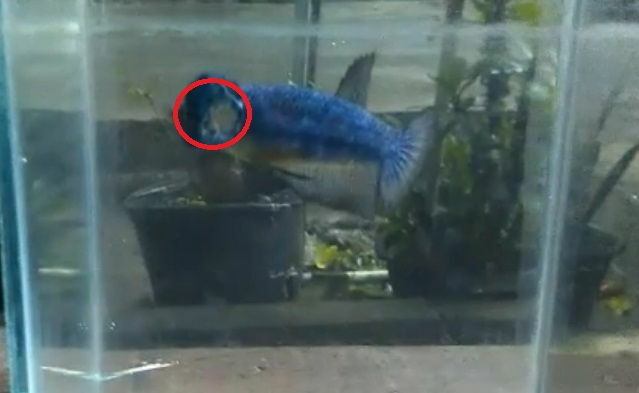 This is the major cause why most Betta fish that have cancers or tumors get terminated or euthanized. In contrary, if your Betta fish suffer from treatable tumors or cancers like gill tumor, some simple treatments may be able ti cure them. 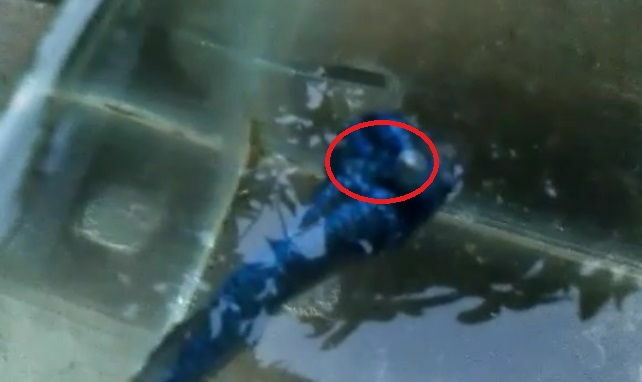 Since gill tumor or cancer is caused by any thyroid issues, the fish breeder can isolate the fish in the water tank which is being medicated with iodine. After the treatment is conducted and the fish has been free from betta tumors or cancers, the fish breeder may want to continue the treatment. There are several ways that can be done to control the tumors or cancers in Betta fish such as feeding them with healthy foods only, treating the fish infections thoroughly, maintaining the clear tank all the time, removing any carcinogenic substances from the fish tank. Most betta diseases like tumors or cancers are caused by the improper care from the fish keepers. The diseases may be influenced by the water conditions as well as the fish husbandry. Thus, it is very important to prevent than to cure. There are three factors of the betta husbandry that need to be considered, that is, betta fish habitat, the ideal temperature, and also the beta fish food. Betta fish can be very adaptable to any container for their habitat. The fish keeper can only place this fish inside a bowl and it can live happily as long as it is alone. The fish keeper may place the fish inside a glass or plastic container. 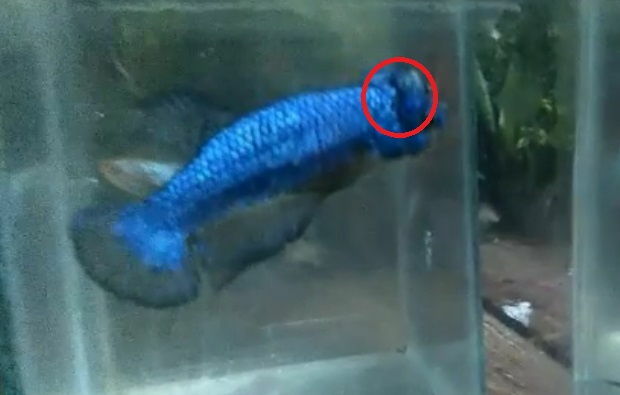 Just make sure not to keep the betta fish inside small container for long time. Betta fish needs to be stored within 80 F water temperature. It is not true that betta fish will be happy to live within the room temperature. The fish keepers may keep their betta fish within the warmer temperature if it cannot be 80 F.
The fish keepers need to provide healthy foods for their betta fish like litte red pellets. The meaty food such as freeze-dried or frozen tubifex, bloodworms, or brine shrimp is also good for them. Make sure to feed the tiny amounts of food for about two or three times every day. These are some important information about betta tumors or cancers and how to prevent these diseases. If you want to keep the betta fish in your fish tank, you need to pay attention about all of these information.